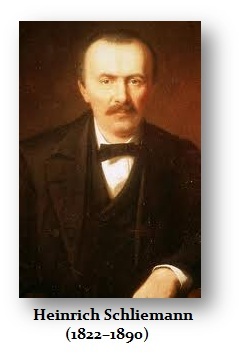 Heinrich Schliemann (1822 – 1890) was a German businessman and the real man who pioneered of field archaeology. He believed in the historical accuracy of Homer’s Iliad and Virgil’s Aeneid and that they told stories that reflected actual historical events. Of course, all the academics pronounced Homer’s writing was a story for children. Schliemann was an amateur archaeological excavator. He took Homer at face value and believed it was history. To this day people still diminish his contributions because he dared to challenge the academics. They hate his guts for proving them all wrong since they pontificated Homer was a story for children when they never set foot out to prove that statement was even correct. 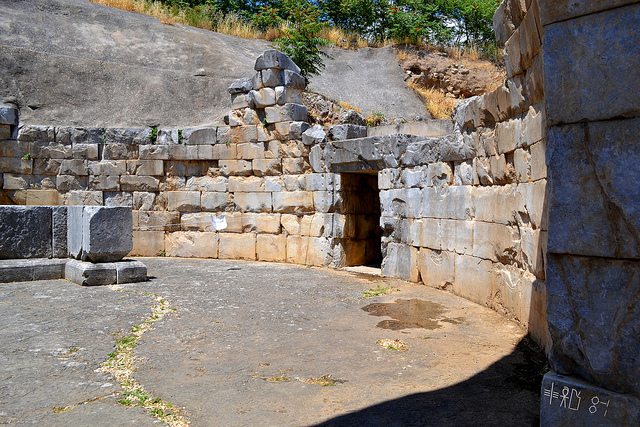 Schliemann not merely discovered Troy, he discovered much of ancient Greece including the Lions Gate pictured here as the entrance to Mycenae. 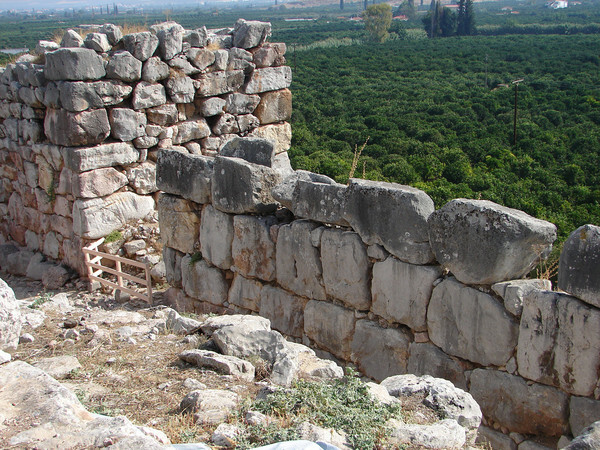 Schliemann’s excavation of nine levels of archaeological remains with dynamite has been criticized as destructive of significant historical artifacts, including the level that is believed to be the historical Troy. Nonetheless, his discovery was first claimed be the academics to be an outright fraud. He took a picture of his wife wearing the purported jewels of Helen of Troy. 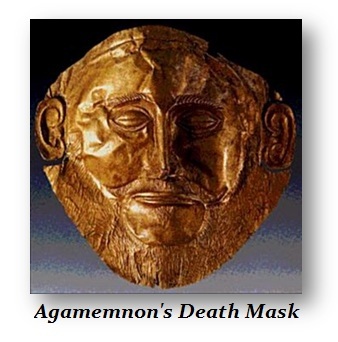 Schliemann was convinced that at the time the Greeks invaded Troy led by Agamemnon (whose gold death mask he also discovered in 1876), since he also discovered Mycenae. Schliemann based his belief on the known fact that the Mycenaean civilization was really the barbarians on the fringe during the 2nd century BC. They were able to conquer Crete and the Minoan civilization after the massive eruption of Santorini, known at that time as Thera. The Thra eruption, was a major catastrophic volcanic eruption with a Volcanic Explosivity Index (VEI) of 6 or 7 and a Dense-rock equivalent (DRE) of 60 km3 (14 cu mi). It is believed to have taken place around 1650BC and upset the balance of power throughout the ancient world. The Thera eruption was one of the largest volcanic events on Earth in recorded history. The eruption devastated the Minoan maritime economy destroying agricultural areas on nearby islands and on the coast of Crete. It had been the Minoans that spread the Bronze Age having access to copper and tin. 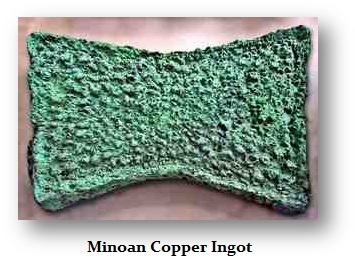 While they lack money in coin form, Minoan bronze ingots were their medium of exchange. Schliemann’s father, Ernst Schliemann, was a Protestant minister. His interest in history was initially encouraged by his father, who had schooled him in the tales of the Iliad and the Odyssey and had given him a copy of Ludwig Jerrer’s Illustrated History of the World for Christmas in 1829. Schliemann later claimed that at the age of 8, he had declared he would one day excavate the city of Troy. Schliemann’s family poverty made a university education impossible, so it was Schliemann’s early academic experiences that influenced the course of his education as an adult. In his archaeological career, however, there was often a division between Schliemann and the educated professionals. As typical, the formal education seeks conformity and the innovators refuse to be constrained in such a manner. Nevertheless, Schliemann laborer for five years, until he burst a blood vessel lifting a heavy barrel. In 1841, Schliemann moved to Hamburg and became a cabin boy on the Dorothea, a steamer bound for Venezuela. After twelve days at sea, the ship foundered in a gale. The survivors, including Schliemann, washed up on the shores of the Netherlands where he then became a messenger, office attendant, and later, a bookkeeper in Amsterdam. At the age of 22, Schliemann worked for B. H. Schröder & Co. in the merchant field of import/export. In 1846 they sent him as a General Agent to St. Petersburg, where he learned Russian and Greek. He could see language in his mind’s eye and wrote his diary in the language of whatever country he happened to be in at that time. He became multilingual mastering English, French, Dutch, Spanish, Portuguese, Swedish, Polish, Italian, Greek, Latin, Russian, Arabic, and Turkish as well as German of course. Schliemann’s ability with languages was critical to his career in international commerce. In 1850, his brother Ludwig,died. It was at this time he discovered that Ludwig had become quite wealthy as a speculator in the California gold fields. Schliemann went to California in early 1851 and started a bank in Sacramento buying and reselling over a million dollars of gold dust in just six months. The Rothschilds complained he defrauding people on short-weight consignments. Not in a position to fight with the powerful bankers, Schliemann left California, yet he was there when California became the 31st state in September 1850 and thus he became an American citizen. In 1852, returned to Russia where he adopted the life of a gentleman, where he met his wife Ekaterina Lyschin, who was the niece of one of his wealthy friends. They were married that year, but never really got along. Schliemann had become a trader himself. He dominated the dye market in indigo developing a business in the dye making a handsome profit. Schliemann also made another handsome profit as a military contractor in the Crimean War, 1854-1856. He became a major trader in saltpeter, sulfur, lead, and constituents of ammunition and supplied the Russian government. By 1858, Schliemann was wealthy beyond most people’s dreams. He wanted to retire and pursue his passion – the discovery of Troy. In 1868, Schliemann visited sites in the Greek world, published Ithaka, der Peloponnesus und Troja in which he asserted that Hissarlik was the site of Troy. In 1869, he was awarded a PhD in absentia from the university of Rostock for that submission. In 1869, Ekaterina and Schliemann divorced. Schliemann needed an assistant who shared his passions in matters of Greek culture. He advertised for a wife in a newspaper in Athens and a friend, the Archbishop of Athens, suggested a one of his relatives, the 17-year-old Sophia Engastromenos (1852–1932). Schliemann married here and they later had two children for at that time a 30 year age difference was normal before Hollywood altered society creating concepts of love rather than practicality. Schliemann began work on Troy in 1871. His excavations began before archaeology had developed as a professional field. Thinking that Homeric Troy must be in the lowest level, Schliemann and his workers dug hastily through the upper levels, reaching fortifications that he took to be his target. 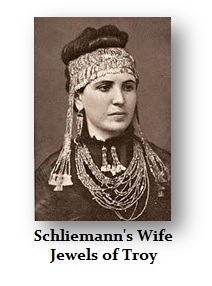 It was his second wife, Sophia Schliemann, whose photograph will live in history. She will be forever remembered wearing treasures recovered at Troy. A hoard of gold and other objects were discovered in May 1873; Schliemann named it “Priam’s Treasure”. Sophia later wore “the Jewels of Helen” for the public pictured here. Those jewels, taken from the Pergamon Museum in Berlin by the Soviet Army (Red Army) in 1945, are now in the Pushkin Museum in Moscow. Schliemann published his findings in 1874, in Trojanische Altertümer. This publicity backfired when the Turkish government revoked Schliemann’s permission to dig and sued him for a share of the gold. Priam’s Treasure today remains a subject of international dispute. But the academics also accused him of fraud. He published Troja und seine Ruinen (Troy and Its Ruins) in 1875. His critics to this day do their best to belittle him. Nonetheless, he also excavated the Treasury of Minyas at Orchomenus. 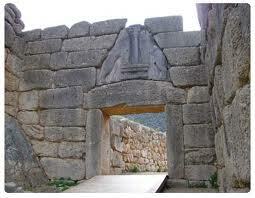 In 1876, he began digging at Mycenae. Upon discovering the Shaft Graves, with their skeletons and more regal gold (including the Mask of Agamemnon), Schliemann cabled the king of Greece. The results were published in Mykenai in 1878. Only after his continued discoveries in Greece did Turkey grant permission in 1876 to continue excavation. Schliemann, however, did not reopen the dig site at Troy until 1878–1879. He was seeking another excavation in Ithaca designed to locate an actual site mentioned in the Odyssey. This was his second excavation at Troy. Schliemann made a third excavation at Troy in 1882–1883. In 1884 Schliemann excavated the great fortified site at Tiryns. A fourth excavation at Troy was made in 1888–1890. Schliemann’s excavations helped to lengthen considerably the perspective of history and to popularize archaeology. His contributions were genuine, though his written accounts contain many self-serving fabrications. Still, he was at the dawn of archaeology and has been severely criticized when in fact they have generally ignored the fact BUT FOR this man’s personal wealth and belief in Homer, the academics would still be criticizing Homer as child’s tales and no one would have gotten out of their office to prove anything they had to say. Granted, methods have greatly improved. Nonetheless, it was Schliemann who demonstrated that sometimes belief if all it takes to move forward.